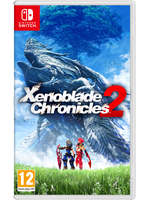 This year's last big exclusive on the Nintendo Switch is about to ship as Xenoblade Chronicles 2 will be available tomorrow. 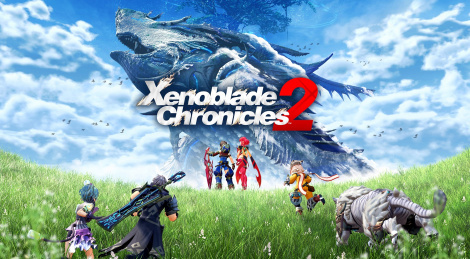 Taking its inspiration from the 2 previous episodes, can Monolith Soft's new title remain in the top list of Japanese RPGs? Your review is in line with most other outlets' reviews. Simply put, the game is brilliant. The Switch is finishing the year as it started, with a great game, and what a year it has been for the Switch. It's sucess is more than deserved. On a personal note, it's truly great and satisfying to see Nintendo at the top of its game again. Nintendo is the best games developer in the world and when they have great hardware to match their great games, is when their "magical talent" is at its best. Here's to hoping the next years are as great as this one for them - and for us. Thanks for the review guys! I want a Switch...! There will be a free Japanese voice pack DLC available day 1 to download, yes. And obviously, many thanks to Gamersyde for the review and videos! One question, I watched this on my Xbox One X in the Edge browser and I selected 1080p. Is that how the game will look for me on Switch or is that no indication? When I select 720p,boy is it blurry. Didn't expect this but the videos played fine on my B6 via USB. Usually MP4 videos from here sady don't play. From a viewing distance of 3 to 3.5m it was fine actually. Looked good enough.